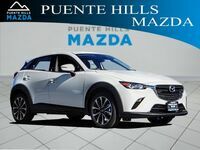 There are three trim levels for the 2019 Mazda CX-3. They are called the Sport, Touring, and Grand Touring. 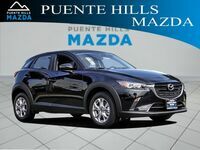 We guarantee that one of these variants will be the perfect Mazda CX-3 vehicle for you, and you can find it here at Puente Hills Mazda. 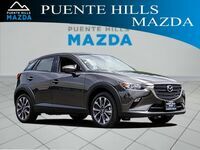 All three of the trim levels feature a SKYACTIV®-G1 2.0L DOHC 16-valve 4-cylinder engine with VVT. Which means they all produce the same 148 horsepower at 6,000 rpm and 146 lb.-ft of torque at 2,800 rpm. Keep reading below to learn more about each trim level with our 2019 Mazda CX-3 trim level comparison. As you can see in the chart above, the Sport is the basic trim level with the most basic features. On the bright side, this also means that it has the lowest cost. The Grand Touring is the trim level with the most luxury features including high end materials throughout the cabin. The Grand Touring trim level has black center console knee pads, black or two-tone Parchment and Black interior trim, a leather-wrapped gear selector, a leather wrapped steering wheel with paddle shifters, and a leather-wrapped parking brake handle. 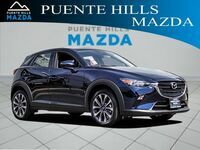 It also features a 7-inch full-color touch screen display and heated front seats with three levels of heat to choose from. The Touring features many of the same features, but the Sport does not offer the leather filled cabin or the heated front seats. The Grand Touring also has additional safety features such as Mazda Radar Cruise Control with Stop & Go. 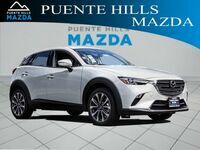 Come into Puente Hills Mazda to see which of the trim levels we have available for the 2019 Mazda CX-3. 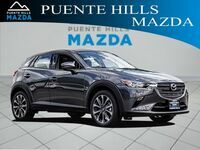 Take some test drives and find the perfect Mazda CX-3 vehicle for you with the help of our expert sales team to show you around.